No matter what your expedition, outing or adventure, The Ultimate Wanderer's Adventure Pack by Nigeer has you covered. The exterior is made of water repellant and tearproof 3-layer PVC Oxford material and PE paneling to ensure the bag can take a beating outdoors without taking damage, but still maintains the styling to accompany you to any function. On the right side, a thermostatic, temperature keeping zip-up bottle holder keeps your bottle or thermos warm or cold for you in any climate and invisibly tucked away . Don't have a water bottle? It can also comfortably fit a standard umbrella. To the left is a very handy and useful usb charging hub that connects to an external power bank (not included) inside the bag, which also has it's own soft pocket for ultimate organization while staying charged on the go. Moving inward, the front zipper panel gives you several pockets for organization of your digital camera, phone, chargers or additional batteries as well as your pens and pencils, while still having adequate space for your books, journal, sketchbook, external keyboard or hard drive. It also keeps your keys handy and safe with a strapped push-button detachable key ring. 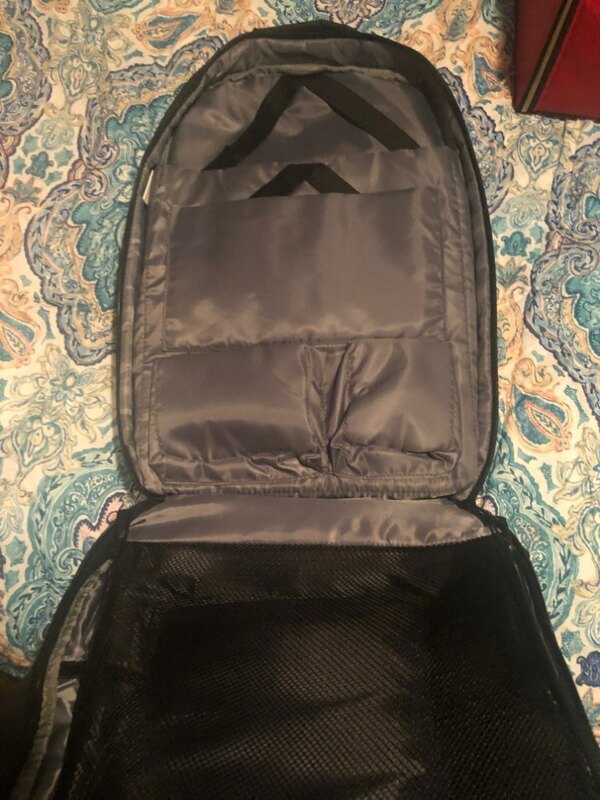 The Main Compartment dual zippers, zip down all the way on both sides of the pack to allow for TSA Approved lay-flat, 180º open design for easy packing and organizing. On one side of the interior, you have a large-capacity zippered mesh clothing/content compartment that can comfortably pack enough clothes for a week's travel. The other side gives you extra padded and super soft polyester lined 17" laptop and tablet sleeves with elastic straps, to keep your valuable electronics in place and safe from bumps and scratches. You'll also find a few more pockets here for any additional cabling, electronics and essentials. The top of the bag houses a soft and supported sunglass compartment to keep your shades secure while the back of the bag is designed for maximum breathability and includes a luggage strap to attach to your luggage handle. 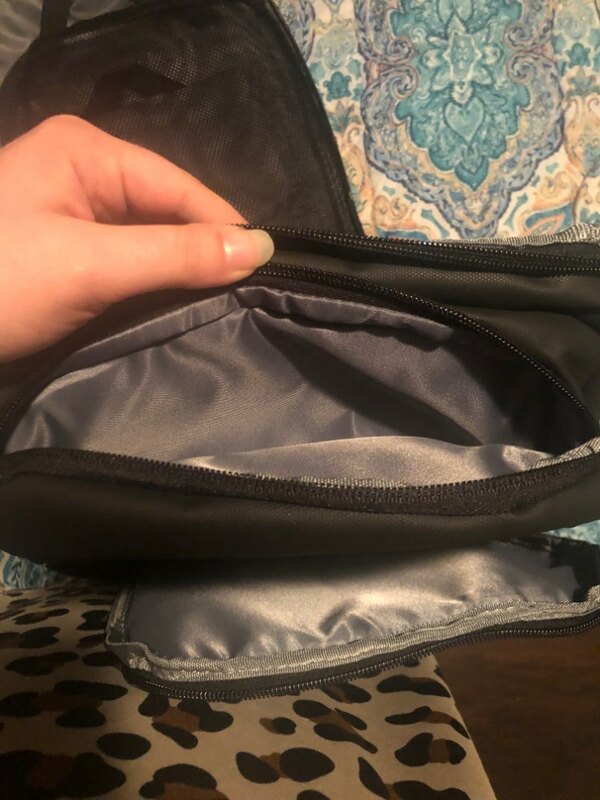 On the back, you will also find a large theftproof hidden zippered compartment that opens up to keep your tablet, journal, phone, passport, id, cash, tickets or any other valuables that you want to keep out of sight and out of reach of any sticky fingers that may be interested. The shoulder straps are ergonomically S-curve designed for maximum comfort, stress relief and minimal back strain. Inside the straps are also two more hidden pockets (one with a zipper and one without) to carry your headphones, credit cards, id or charger for quick access. The straps also come with a sternum strap to help keep the bag in place and relieve spinal strain. With more features than you can count and available in two stunning and stylish colours, The Ultimate Wanderer's Backpack from Nigeer truly is the last backpack you will ever need and is fully equipped to be the every traveler's best friend. Get yours today before they're gone! Water Repellant and Tear & Scratch Proof! USB charging port which connects to your internal power bank (not included) for convenient charging on the go! Thermostatic zipper pocket to keep your bottle or thermos cold or warm despite the temperature outside. 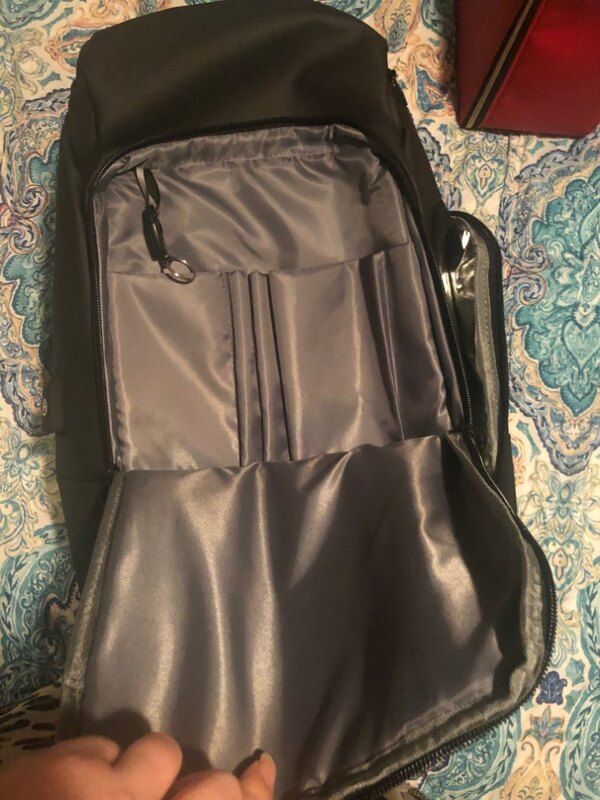 Separated zippered mesh clothing compartment which can comfortably hold up to a week's amount of clothing while keeping everything secure and organized even if the bag is opened. Ultra soft and padded 17" laptop and tablet pockets with straps to keep your valuable electronics safe and secure from bumps and scratches. 11 internal pockets for maximum organization of your phone, digital camera, batteries, cables, tablets, cards and more. Padded and secure sunglass compartment on top of the bag to keep your shades safe and handy. Large secret theft-proof hidden back compartment with padded pocket for tablet, passport, cash, or any other valuables. 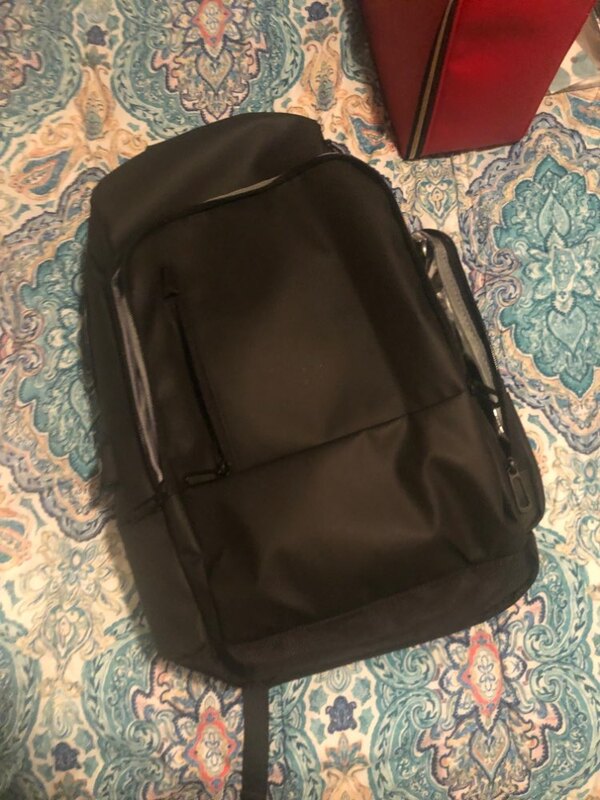 Two hidden shoulder strap pockets (one with zipper and one without) for cards, head phones, chargers and other essentials. Super padded, ergonomically designed S-Curve shoulder straps with buckle chest strap for maximum comfort, stress relief and minimal back strain. Push-button detachable key ring strap for easy key storage and access. Durable elastic luggage Strap to attach your bag to your luggage handle.